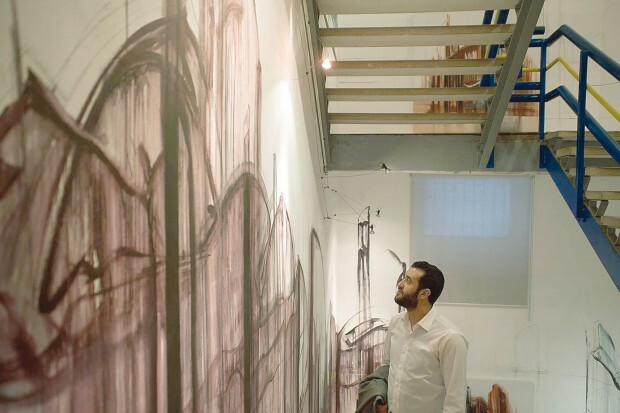 A solo exhibition of a young but already very popular and sought-after Algerian artist Hacen Drici will be presented in the exhibition hall of the hotel “Pullman Riga Old Town” from September 21 to October 20 in Riga. The exhibition is organized by the joint effort of the hotel and the art gallery “Figaro Art”. The organizers believe that during this time, when the results of the European migration policy are treated ambiguously by the society and the world is full of interreligious and interethnic conflicts, the audience will be interested in getting acquainted with the work of a young representative of the Islamic culture from the continent of Africa. Hacen Drici was born on December 14, 1982. He is a descendant of the Berbers, the indigenous inhabitants of North Africa. He speaks Berber, French and some English. He is actively interested in history and architecture. The craving towards creativity was always supported by his late mother, who was fond of art herself, keeping the secrets of creating traditional clay Berber dishes and tapestries. Hacen had always wanted to become and architect. While his dream has not come true, he continues to draw inspiration from architecture, which is clearly visible in his paintings. The traditions of Islamic culture limit the artists’ capabilities of portraying people. Hacen’s paintings can be characterized as architectural abstractionism and it explicitly traces social themes and profound philosophy. With his work Hacen is aiming at expressing hope of a bright future, preaching peace, tolerance and universal values. During the exhibition about 20 of the artists paintings will be displayed, all of which can be purchased at the end of the exhibition. Hacen Drici is a graduate of Algeria’s Graduate School of Fine Arts class of 2009. From the year 2004 he has been participating in collective exhibitions.